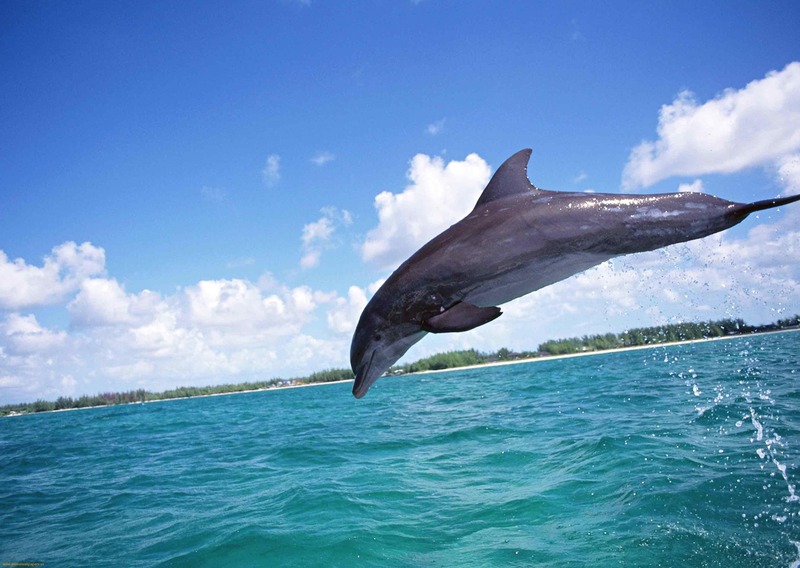 Bottlenose dolphins wallpapers for your PC, Android Device, Iphone or Tablet PC. 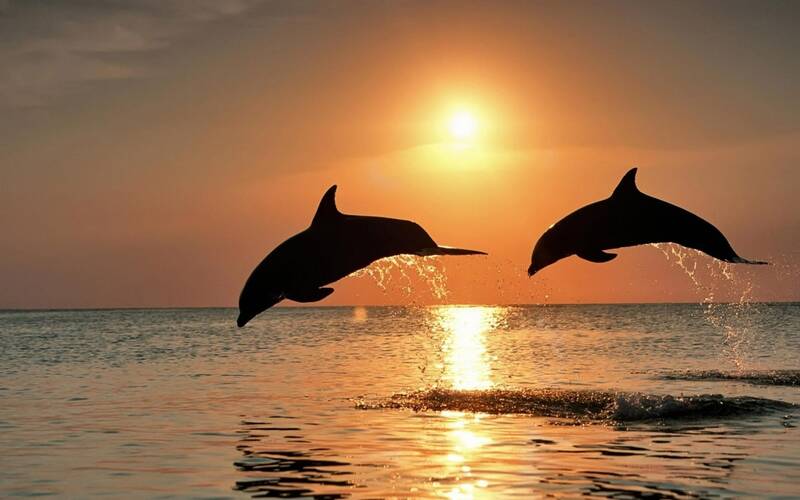 If you want to download Bottlenose dolphins High Quality wallpapers for your desktop, please download this wallpapers above and click «set as desktop background». You can share this wallpaper in social networks, we will be very grateful to you. 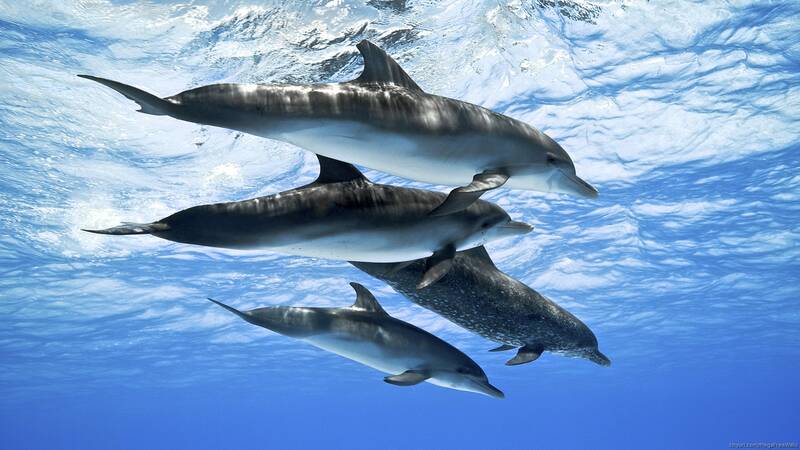 These wonderful dolphins inhabit warm waters of the oceans. There are in the Mediterranean and Black Sea, and the eastern shores of the United States. 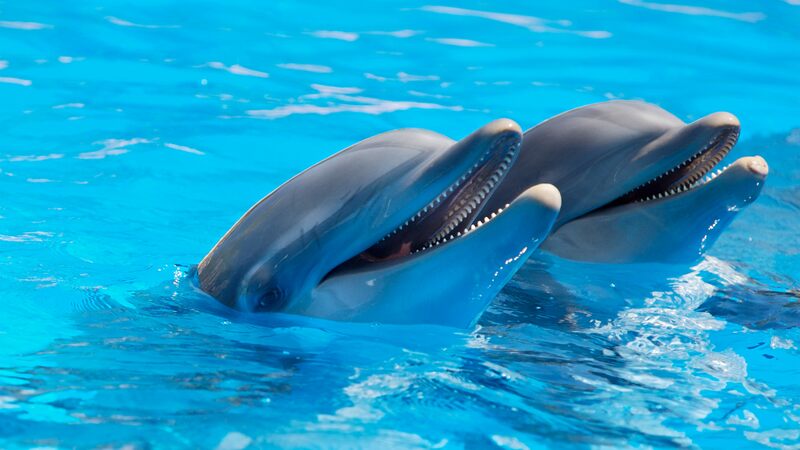 It is sociable and friendly animals. 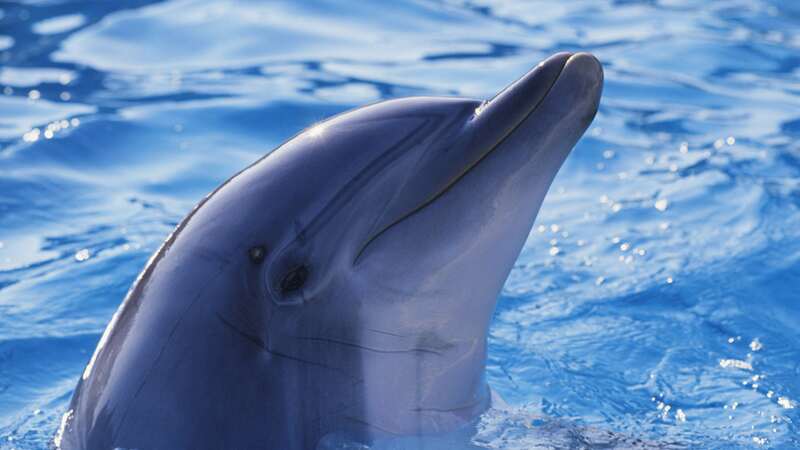 They are very intelligent and communicate with each other via the sounds – whistles. They know how to click his teeth chatter and squeak. 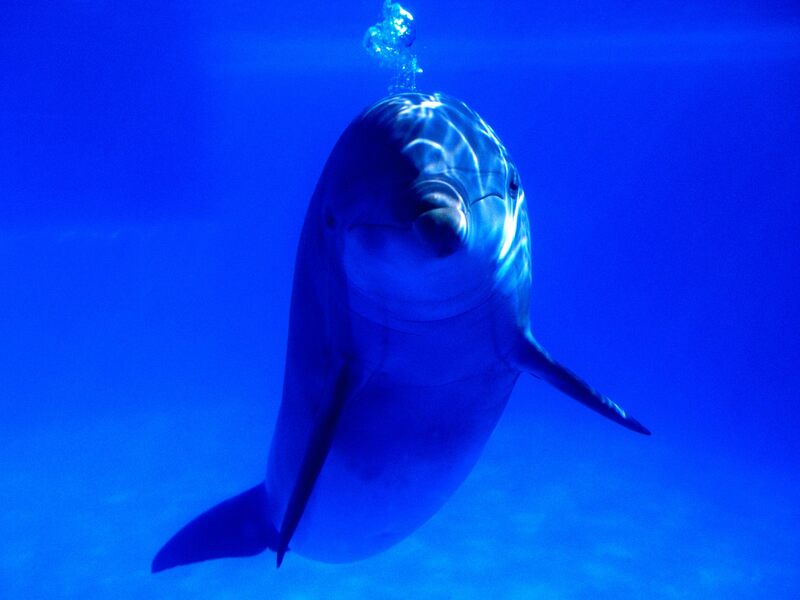 The body length of 2 – 3 meters, weight 150 – 280 kg. Females are smaller than males to 20 cm. A strong and massive body, small head, prominent forehead, and the mouth is more like a bird’s beak. Small round eyes are located on the sides of the head. Teeth strong, have a conical shape. 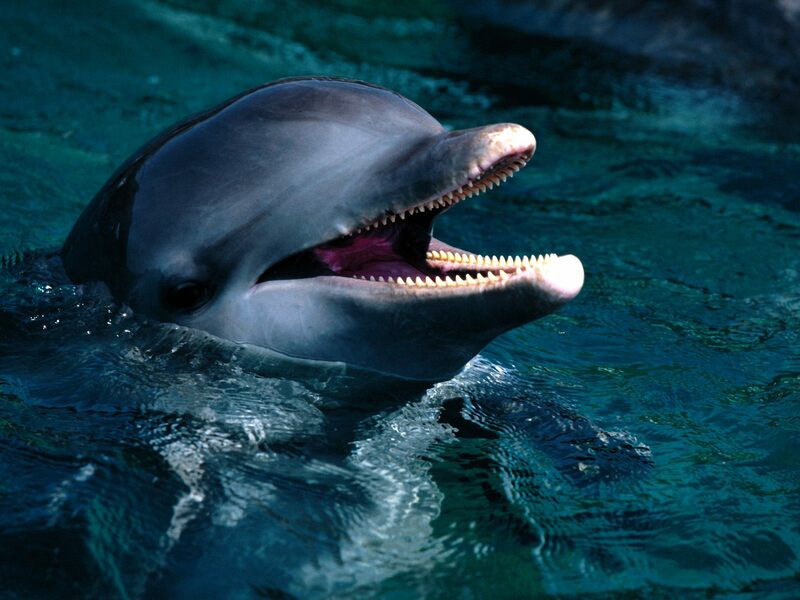 The upper jaw of 18 to 28 pairs, the lower of 15 to 25 pairs. 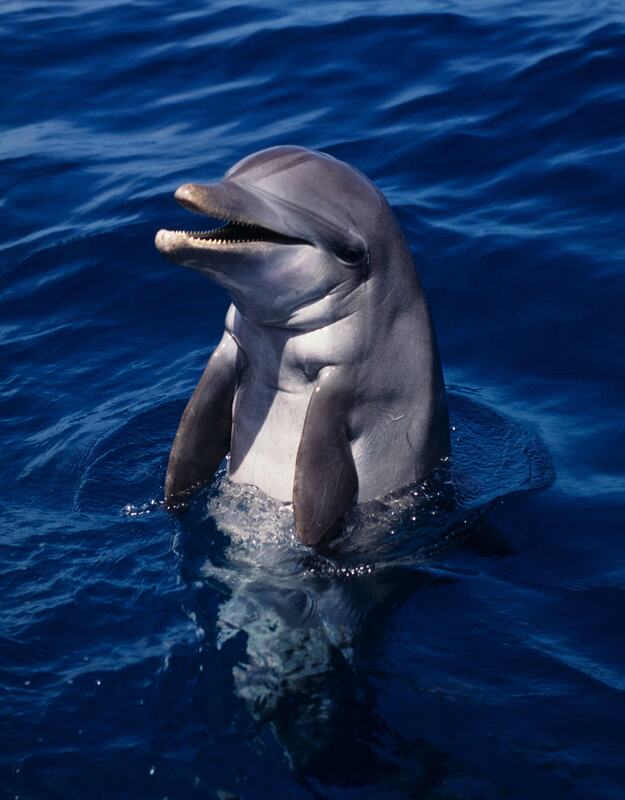 Bottlenose dolphin dorsal fin is quite high, the pectoral fins are wide, the end pointed. 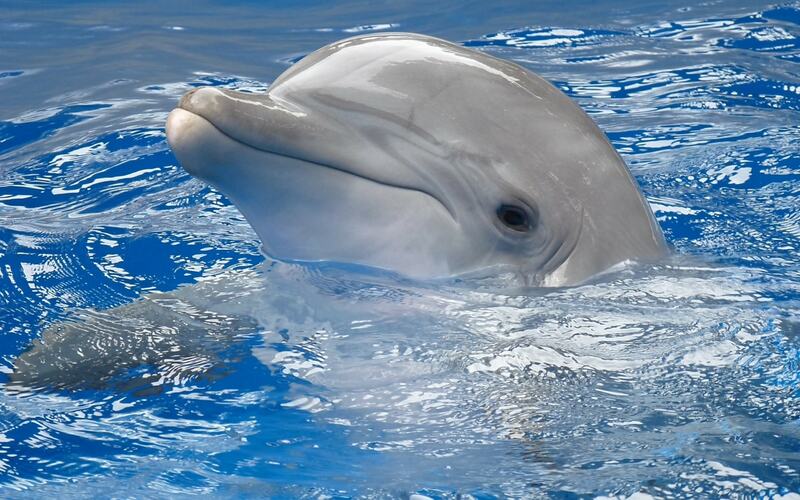 Upper body gray or brown, bottom dolphin white or light gray. Vision and hearing are developed very well, but there is no sense of smell. They live in small flocks. 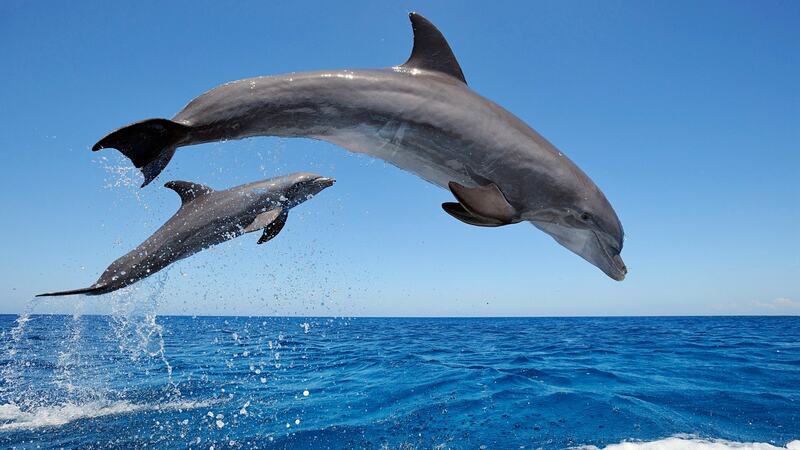 Typically, males roam the expanses of the ocean separated from the family of females with cubs. Hunt groups on fish often day. The main food – fish, shrimp and octopus. On the day of the adult eats 15 kg of fish. 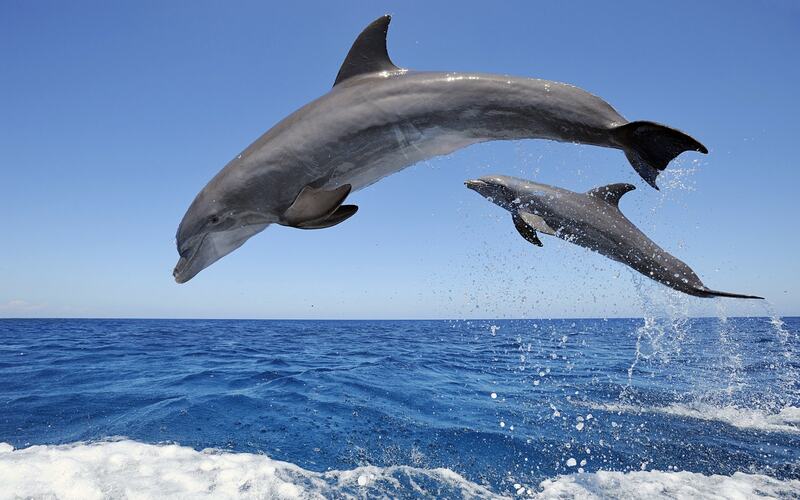 Floating in the water for prey, dolphins can hold their breath for 10 – 12 minutes, then it pops up for air portion. 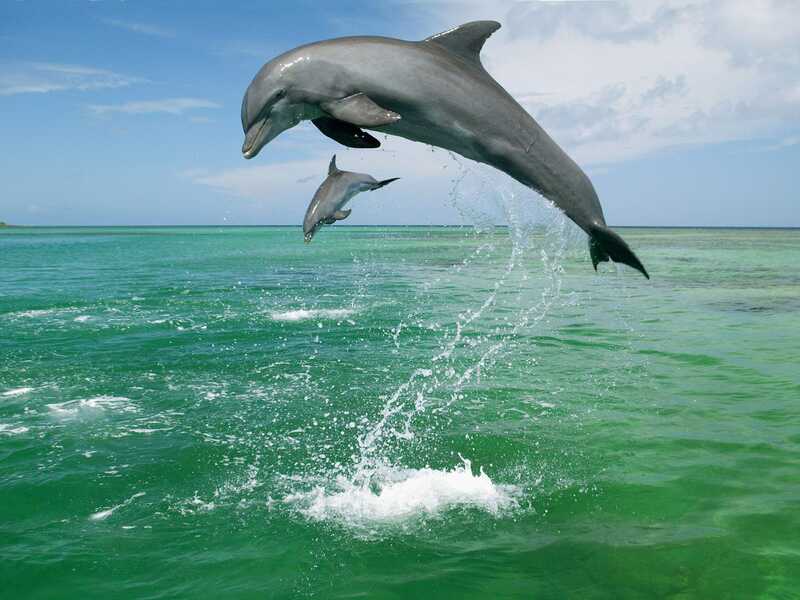 They love to play and frolic, can develop a speed of up to 40 km / h, and the caudal fin in this really helps him. Dive to a depth 200metrov. 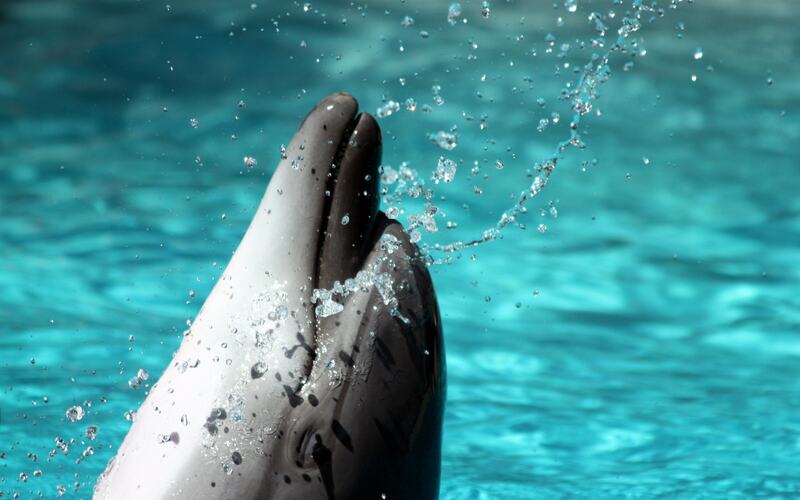 A sleeping animal almost at the water surface, float, without waking to breathe. In the spring mating, the male tries to attract female attention, and manifests itself in all its glory. 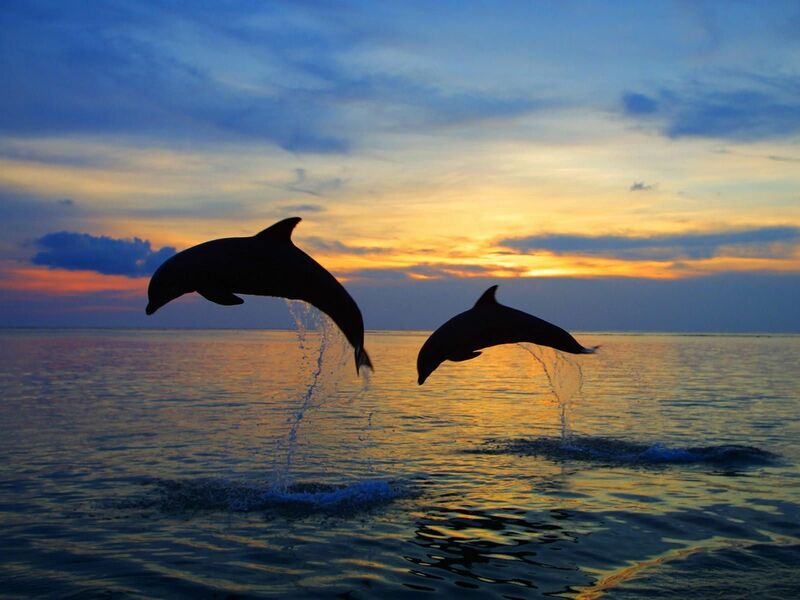 High jumping out of the water, chirping love song. But he was not the only one wanting a lot. Males are angry, chased each other. Finally the pair to identify and privacy. 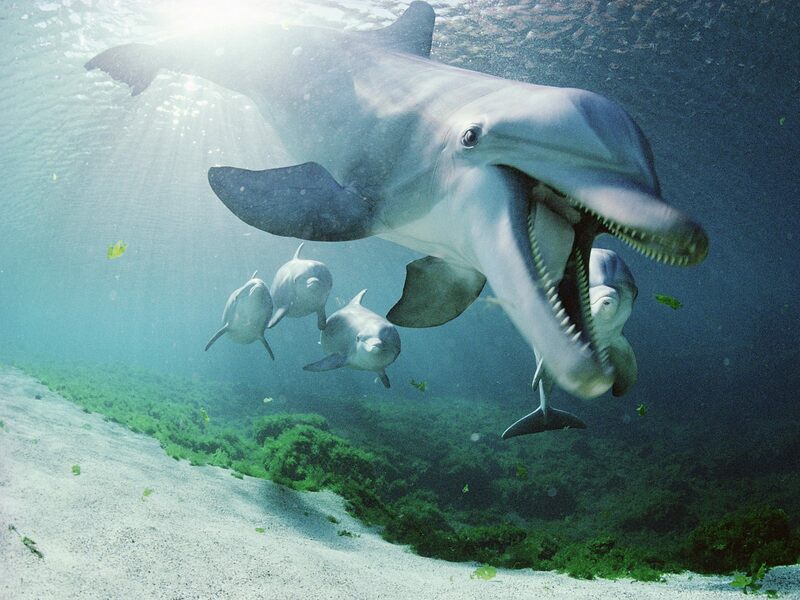 Bottlenose dolphins swimming close, stroking each other’s noses and fins. A year later, it is born in the water meter cub. Baby weighs 10 – 12 kg. Mom supported by several females and carefully preserve and protect. 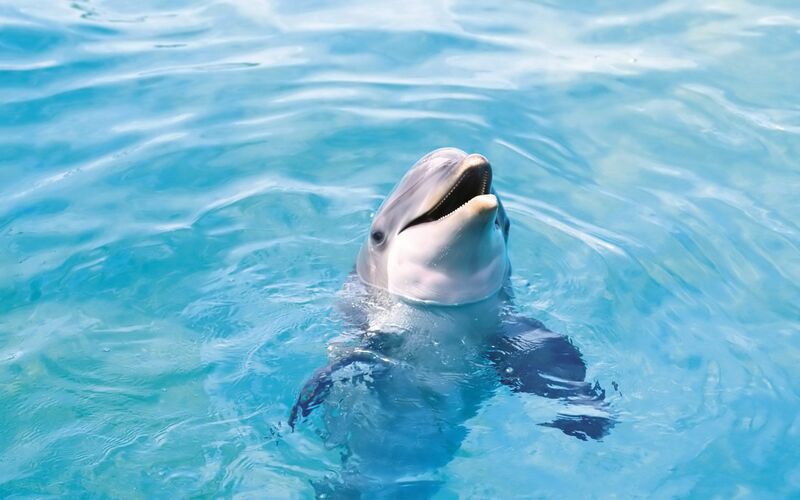 Newborn floats to the surface of the water in minutes 10 – 15 after birth, for the first breath. He is aided in this, or mother, or the presence of females. 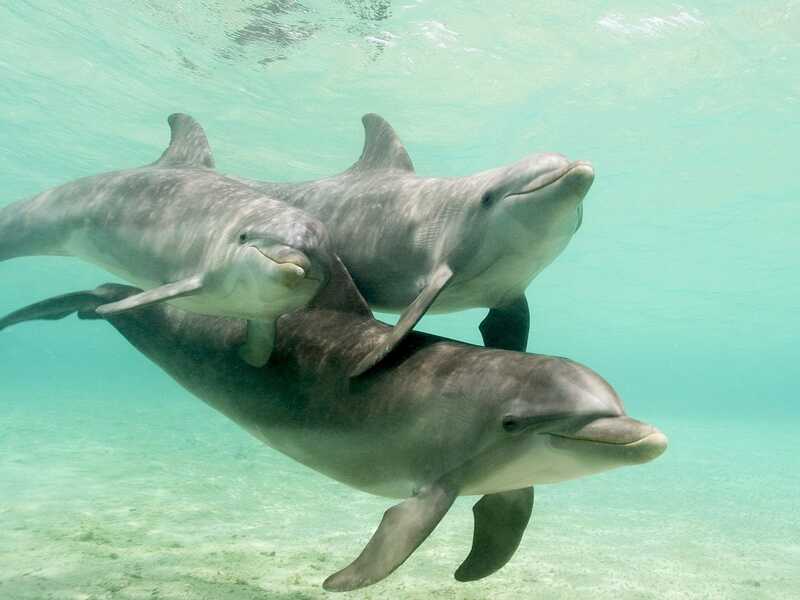 The first weeks of calf swims close to his mother (within three meters), only when it is old enough, he would be able to sail a short distance. Parent nourishing milk, he will feed and a half years. The first solid foods will receive at age 4 – 6 months, obviously, my mother knows when administered in the diet of a new food supply. If the baby does not respond, then the mother can punish him, but it happens very rarely. 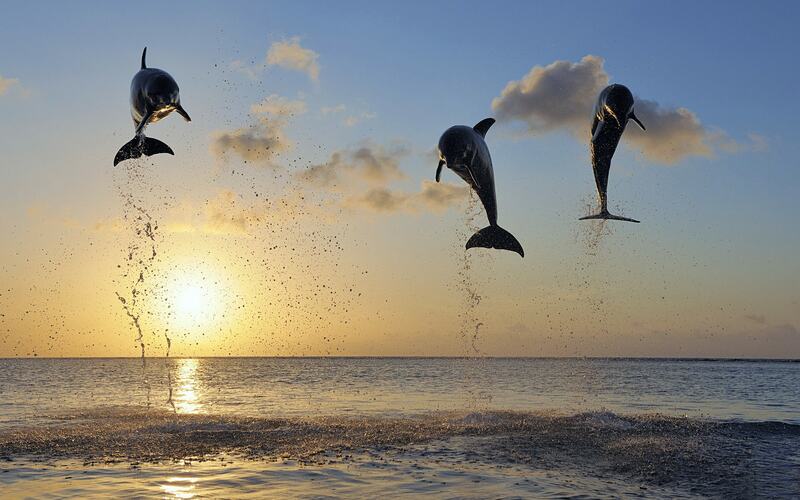 A baby grows up, fun to play, dives and jumps out of the water. Thus, he is learning the skills necessary in life: hunting, to escape and to communicate. The female brings posterity once in two years. 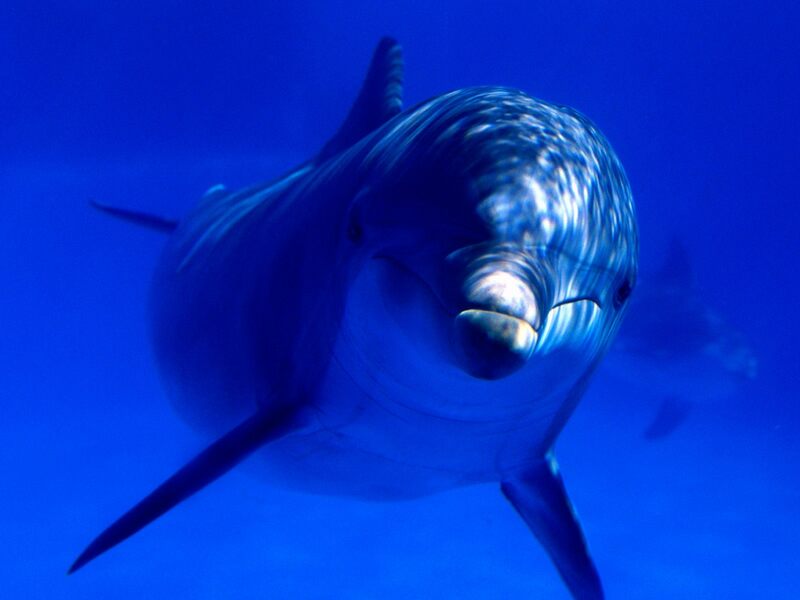 In the wild bottlenose dolphins live to 25 years. Killer whales and sharks enemies.